This condo is a secluded, beautiful 600-square foot 1 bedroom/1 bathroom retreat that feels like home in one of Provincetown's most impressive condominiums. Hardwood floors, central air, central vacuum, gas fireplace, private deck facing woods, gas grill, dishwasher, microwave, gas stove, granite counter tops, washer/dryer in unit, queen bed in bedroom, queen sleep sofa in living room, wireless Internet as well as wired hook-up, cable TV, DVD/VCR, CD player/radio stereo that is IPod compatible, phone, one reserved parking space. For those of you who have pets, sorry, but the condo association does not allow pets. The condo is located at 202A Bradford Street. The building is set back to the degree that it can't actually be seen from the street. Access is down a driveway directly across the street from the yellow 'Inn at Cook Street'. If you do not have a car, it is an easy walk into town. I am originally from the New York City area and spent most of my adult years living in Washington, DC working for the Federal government. With last year's change of administrations, I decided to permanently relocate to Wellington, Florida, an equestrian community located in western Palm Beach County. Everyone loves this property! Most say that it feels just like home because it is so well furnished, equipped, and comfortable. It is extremely private and quiet because it is tucked in a peaceful wooded setting. All the modern day conveniences of a building constructed in 2004 which is rare to find so close to town. Central air/gas fireplace/in unit washer & dryer/full size kitchen/hardwood floors/outdoor deck/gas grill/off street reserved parking. Bathroom has toilet, vanity sink, shower with seat and sliding glass doors and marble floor. There are towels and plenty of towel bars to accommodate four guests. The bathroom can be accessed from the living area through one door and from the bedroom through a separate pocket door ensuring privacy. The bay beach is witihin walking distance. The condo is within walking distance to the center of town. The ocean beach is accessible by car, taxi, and bus and is just a few miles away. Provincetown, MA is considered to be a resort community. Surrounded by trees and appointed with all you can need! Great location, a little hidden and walkable to everything. Very relaxing place with everything we needed for a long weekend. Easy parking. No need for a car in town. Hope to return soon! Thanks for the great review! Glad to hear that you enjoyed your stay in the condo. Wonderful well appointed condo. It had everything we needed to enjoy our carnival week. Thanks Mark! I am glad to hear that you enjoyed your time at the condo during Carnival week. Great location tucked away in private, relaxing setting. Condo was well appointed and in a great location. Loved the private deck and quiet building-perfect for a relaxing vacation. The owner was very responsive and great to work with. Highly recommend this condo! Thanks for the great review Nicole. I am glad that your stay at the condo was so enjoyable. 4 of us decided to take a trip to enjoy the Memorial weekend festivities and we found this gem!! Ken has offered us his place which is so comfy and homey. We definitely felt right at home. Place had everything you needed from sandwich bags and every cooking utensil to everyday home entertainment and a sewing kit (which was very much needed). It is about a 20 min walk to the center of town but totally worth it since the place is buried behind all action. Great quiet place to unwind and great ready for the next day of fun. Thank you Ken. Your place is amazing and will definitely book again!! Thank you for your review. I am glad that you enjoyed your stay at the condo. Located at the very end of Cape Cod and nestled along the Cape Cod National Seashore, Provincetown is truly a one-of-a kind destination filled with interesting individuals from diverse backgrounds and all walks of life. With the dunes, ocean, bay, bike trails, live entertainment, endless art galleries. whale watching excursions, sailing, tourist shops, and fine restaurants visitors can find whatever they are looking for, be it for the heart, soul, mind, or body. A truly unique place that you will find very hard to leave, and when you do, a never ending desire to return again and again. While you are staying here, you will be extremely comfortable in a very modern condo in a new building (relatively rare for Provincetown). While inside the condo, you will feel secluded and away from the crowds, yet when you walk a block or so to Commercial Street, you will have the special world of Provincetown at your feet with all it has to offer. NOTE: During the summer (Memorial Day Weekend to Labor Day Weekend) the condo is only rented on a weekly basis from Saturday to Saturday. 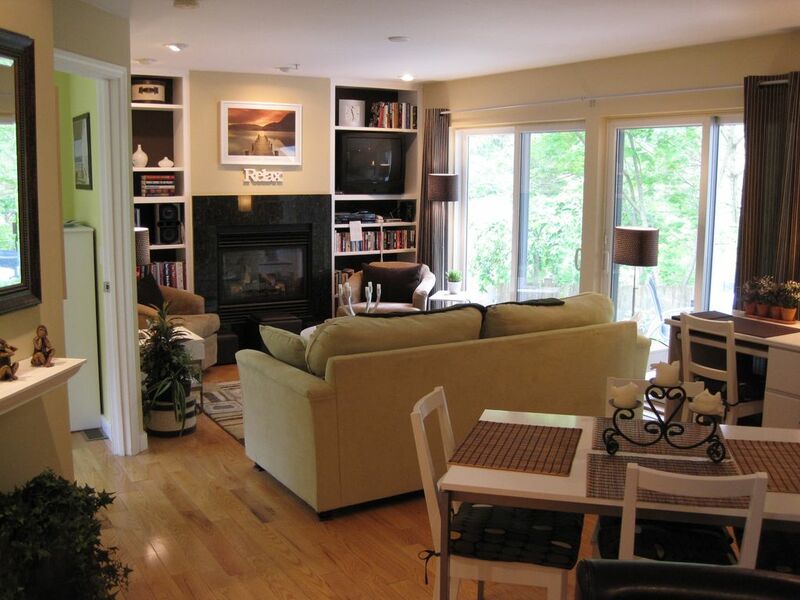 At all other times of the year, the condo is available on a nightly basis (two night minimum). Long term winter rental considered.